Auctiva's FREE Scrolling Gallery will enhance your listings. 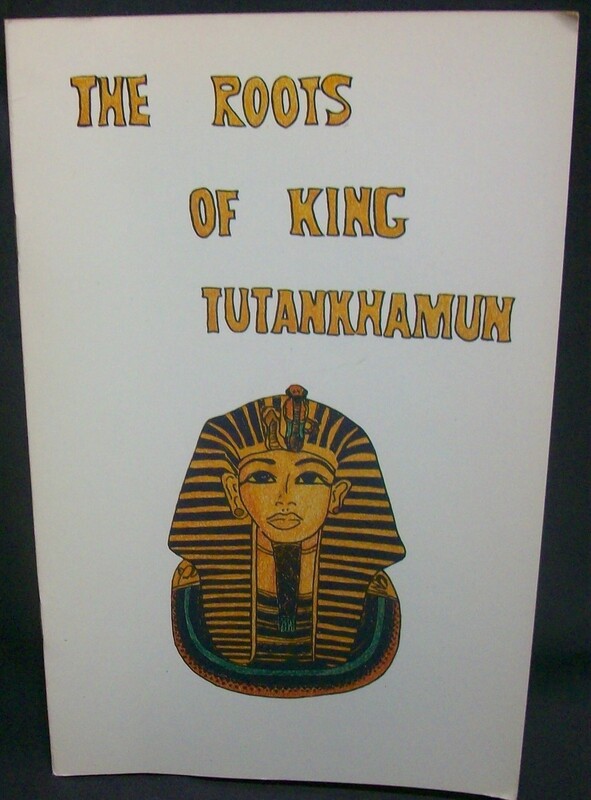 The Roots of King Tutankhamun Ford Audrey and Wallace Arthur LL Company, 1980, unstated edition Staple bound in good condition. Text is clean and unmarked, binding tight, all staples and pages in place nothing loose, some tanning of pages due to paper used and age. Cover is clean and shows little signs of wear. This small booklet contains the complete family history and genealogy of King Tutankhamun. Brief history of his ancestors, with who married who, and who was who's brother or sister, or secondary wife etc. B W Illustrations, 16 pages. Powered by Turbo Lister The free listing tool. List your items fast and easy and manage your active items.